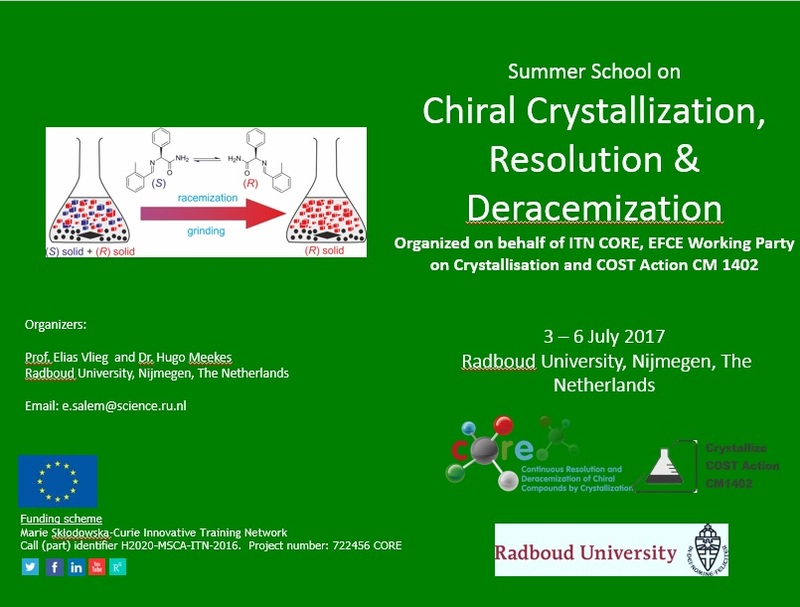 The goal of this summer school is to outline the basics of chirality, crystallisation, resolution and deracemization. Participants from academia, industry and alike are invited to join. The fee covers the lectures, daily coffee and lunch breaks and the excursion plus school dinner; accommodation is not included.